This weeks topic is Free Friday so I'm going to write about the greatness of new things at Disneyland. It is less than 100 days away until the next rundisney race: the 10th anniversary of the Disneyland half marathon weekend! That race weekend will also by my 5th runiversary. As people are preparing, here are some of the great things they can expect. I went to Disneyland for the 24 hour party on Friday as well as going back on Sunday and Monday! Let me just preface this as saying, I'm not surprised that the parks hit capacity and turned into a complete mess on Friday. I am surprised that there was a complete breakdown of communication. The fact that people paid for parking and then we're stuck and couldn't get into either park is not cool. I think parking, ticket sales and a system for disseminating information was the key to Friday and Disney blew it. As people were leaving, they should have been told they would not be let back in and just consistent information about if dining reservations would be allowed back in. I also think it was silly to offer all of the 60th anniversary offerings on the same day as the 24 hour party. I think they should have opened it earlier in early May to allow for some practice with crowd control. Just my two cents but I had a great time but would have had an even better time if I had been able to actually get into Disneyland! It's all so cute!!! Here and here are some Disney Parks Blog posts about some of it. I ended up getting: an ornament, new shirt, a sweatshirt, a new pair of shoes, new blanket and two mugs. Overall, the merchandise is adorable and I will most likely be buying more soon. I did much better this week eating wise! I mostly ate at home and made smart choices. I feel a lot less bloated this week than last. I am hoping to keep it up this week! After my horrible lack of sleep, I averaged close to 7.5 hours a night and feel so much better! It has helped my mood and also my workouts. I was able to get 10.5 hours of sleep on Friday but then messed it all up with the 24 hour party. I am hoping to get back on track this week. Lots of rest but I am feeling better than ever-now to get back into the core work! This week rocked! Work is slow, I started class and really enjoyed it and spent much of my weekend doing Disney things. I went to part of the 24 hour party on Friday, saw Tomorrowland Saturday and did an impromptu trip on Sunday just for the nighttime spectaculars. and where am I going today? YUP, DISNEYLAND! The 60th anniversary stuff is so fantastic and my boyfriend wanted to go as he hasn&apos;t seen any of it (that is what happens when you go to Vegas haha). This week should be great as well. I need to start organizing myself for our WDW trip and also need to get ahead on school work. I am almost done on my ALL of my readings for the semester which will help me get ahead on my papers. April from Run the Great Wide Somewhere, Erika from MCM Mama Runs, and Patty from No-Guilt Life. This week's topic is on compression year. When I first began running, I was very apprehensive on the idea of compression gear. You mean I wear a pair of socks or a pair shorts and they're supposed to make me feel better? It's in a little bit too good to be true however before I ran my first LA Marathon, I decided I wanted her compression socks and went to the outlet mall to find some. Let me just say the socks of literally changed how I run. They really do help with recovery and they make me feel so much better. Usually the week before the race I will sleep compression socks, as they help me not be as sore leading up to the race. I always wanted to try ProCompression but they were expensive and pricey A few months ago, I was lucky to win a give away from a blog got to have a pair for free to try. Let me just say-I an in love as they are the best compression gear I've ever worn. I have seen bought 10 more pairs: 4 at the Tink Expo and 6 from their grab bags (3 pairs for for $39 but you don't know what styles you will get). Another thing I love from ProCompression are their tights, that recently were on clearance for $25 each (regular price was 85) so I bought 4 more pairs to stock up. I wear them all of the time especially in between my races, they helped me survive Dopey Challenge for sure! How do you feel about compression gear? Anyone else love it? Hate it? 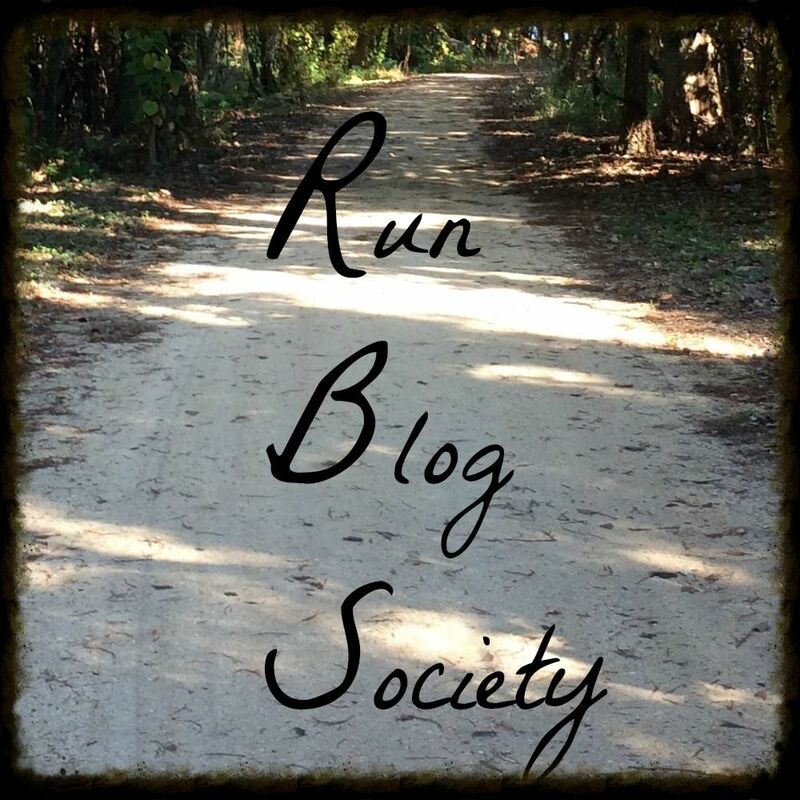 It is Monday so we are linking up with another Magical Mickey with John at run.geek.rundisney and Katie from Adventures by Katie. This week I will talk about seeing Tomorrowland (don't worry! full posts at the DL 60th are coming!!). SOME SPOILERS BELOW. I was able to go see Tomorrowland on Saturday morning and really enjoyed myself. After the Tinkerbell half marathon, I went to see the preview and it really got into it more than I was expecting. The preview is actually just the beginning part of the movie: it shows the young Frank going to the 1964 World's Fair, let me just tell you it looks gorgeous on-screen, with an invention that he created. He unfortunately is shot down but does meet a young girl Athena who gives him a special pin. He uses the pin to ride It's a Small World and it transports him to a mythical land. The movie continues with an older Frank and a young girl named Casey, with a very adventurous and optimistic spirit who really loves space travel and all thingsNASA. She gets in a bit of trouble and finds herself in possession of the tomorrowland pin. She is also transferred to a magical world and wants to get back there. She does some Internet searching, yay for finally someone using the Internet how we do today in a movie, and ends up at sci-fi shop. Hilarity ensues and she is soon on the run from government officials. I won't give too much more away but some crazy things occur including a trip on a rocket out of the Eiffel Tower and a big circle transporter thing that looks very similar to the one in Big Hero 6. Overall, this movie is fantastic and I would recommend it to any Disney fans as you can see Walt Disney's dream throughout all of it as well as Epcot, the old school one-Experimental Prototype Community of Tomorrow and other parts of the actual Tomorrowland such as Space Mountain. Even the use of the 1964 World's Fair speaks to Walt's dream. I really do think it could be for children, our theater had a good number of children and they all seem to enjoy themselves another movie was about two hours and 20 minutes so keep that in mind when deciding to take children. I would highly recommend someone for yet I've very much enjoyed it even if the critics thought it was a little overdone. Have you seen Tomorrowland? What did you think? Hi all! Linkup Friday!! Thanks to our amazing hostesses: the DC Trifecta Bloggers (Courtney from Eat Pray Run DC, Mar from Mar on the Run, and Cynthia from You Signed Up For What?!). This weeks topic is on your five favorite summer fruits and vegetables. Living in Los Angeles, I have access to great fruit and vegetables all year around. It's hard for me to pick a favorites, so instead I will talk about how I shop for fruits and vegetables all year around. On Tuesday night I get the sale ads and from there I make my shopping plan for the week. So I pick out whatever are considered the door busters, which are the great deals on the front page they get you an door. I very rarely buy anything that is not on sale. I usually shop for whatever fruits and vegetables are on sale for the week for example last week blueberries were $.98 and apricots were 2lbs for a dollar at Sprouts so those were my two fruits for week. I also got some great veggie deals on onions. For about a month, strawberries were my fruit of choice as they were so cheap usually about a dollar to two dollars a package. This week I am planning on buying cherries (1.98/lb), mangos (2 for 1 dollar), watermelon (1.98), tomatoes (98 cents/lb), and bell peppers (98 cents). I usually shop on the weekends. Over the summer, I'm not going to be working on Wednesdays, so I will be switching my day of shopping to Wednesdays to allow for more time on the weekends but also because Sprouts does double ad Wednesdays where you can use last week's ad and this week's ad at the same time! Once I am home, I cut up any food that needs to be chopped and then divide it up into containers so for the week it is just grab n go. I only grocery shop once a week so I have to make sure I get everything I need. I sometimes have extra food I can't get to and will freeze it as needed. How about you? What are some of your favorite fruits and vegetables? How often do you grocery shop? April from Run the Great Wide Somewhere, Erika from MCM Mama Runs, and Patty from No-Guilt Life. This week's topic is Inspirational Books and Movies but I am just going to focus on the last inspirational running book I "read": Unbroken. The reason I "read" it was I actually listened to it on audiobook. 12 hours unbridged!! It was perfect for after I finished the Serial podcast and was approaching my final 26 mile training run for Dopey! The story Unbroken is about Louis Zamperini,an 1936 Olympian runner and a World War II veteran. The story begins with him as a young boy and what a trouble maker he was and how it got into running in Southern California. From there, it talks how he qualified for the Olympics in a crazy Trials story and went to run the 5000m in Berlin as the youngest qualifier ever. He has a great Olympic story, and even though he didn't want to gold he did have the fastest finish ever recorded in in the 5000 m at the time. It even caught the attention of Hilter who insisted on a personal meeting. After the Olympics he eventually went to USC on a full track scholarship, and to hearing about his adventures running around the USC track where I have also run many times was very inspiring. He eventually ran the mile in 4:08, and many thought he would break the four minute mile barrier, even though we know it was eventually broken by Roger Bannister later on. What was interesting about the 4:08 was he ran the race while being boxed in and having people stab him with their spikes to slow him down!!! He wanted to go back to the Olympics in 1940 and it is very sad to know that instead we had World War II. He enlisted in World War II and his training and how he crashlanded and survived at sea before being a POW in Japan. These stories are totally heartbreaking and grusome, but at the same time, it is amazing what they all were able to survive. After the war ended, it goes into how he had many demons mostly in drinking alcohol and how he eventually found God and became a Christian motivational speaker. He really lived a remarkable life. He also talked about how much USC meant to him and as a technical triple Trojan (got my Master's there, work there, and am getting my Doctorate), that means a lot to me. The entrance to the track on campus is named after him, I often walk over there and look at all of the great Olympians that have come before and after Louis (including some of the people mentioned in the book!). I saw the movie that just came out, but it focuses more on him crash landing in the World War II stuff versus the running stuff. I think it be very interesting to make a movie focus solely on his running because it absolutely fascinating. I loved listening to the book on my long training runs (final Dopey and star wars) and it was hard to listen to while running. I cried many times which made it very hard to run. Some of the stories told are just so heartbreaking. Has anyone else read the Unbroken book? Anyone see the movie? What did you think?